Walk on water amongst beautiful and historic surroundings. Sit, lie, stand, kneel or splash; you have the freedom to choose how you enjoy your time on the water. 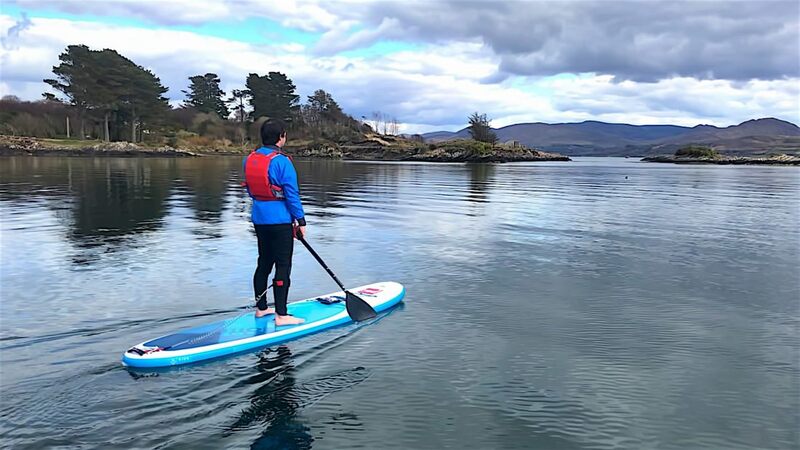 There are chances to paddleboard all over the world, learn a new skill that you can take with you on your travels. Paddleboarding is fun! Feel like a happy youngster no matter what age you are. Improve your core stability and fitness without even trying. The short answer is... Maybe. We provide all necessary gear to keep you warm and safe, even if you do fall in. You don't have to get wet, sometimes spills happen but you can always kneel and stay dry. We recommend that you wear swim gear, a t-shirt and shoes that you don't mind getting wet. We provide wetsuits and windproof tops if you would like them. We also provide buoyancy aids​. Expert, low ratio guiding and instruction. 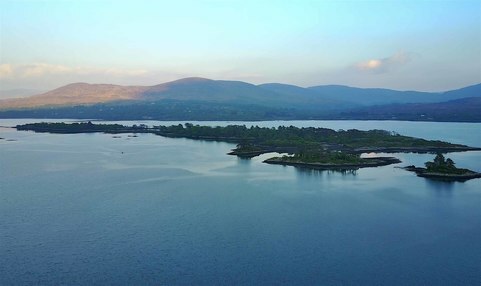 A new passion for paddleboarding and Kenmare! You should allow approximately 2 hours from your time of arrival to departure. Rain, no problem! 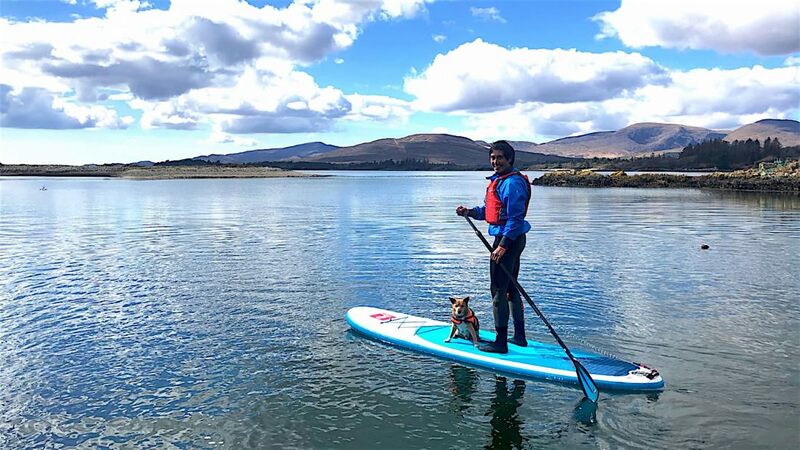 We love to paddleboard in the rain here in Ireland.